Straight from the theaters, it's a grand scale animated feature that is as exciting as it is charming, where friendship, understanding, and adventure abound as Winnie the Pooh and his friends learn that things are not always as they appear. A quiet day in the Hundred Acre Wood quickly grows mysterious when a strange sound echoes through the trees -- a sound that can only be . . . a Heffalump! While the friends devise, Roo sets off into the Wood and discovers a Heffalump named Lumpy. To Roo's great surprise, Heffalumps are quite friendly and playful. After meeting Lumpy, Roo wonders why the others are so frightened and why Lumpy is so afraid of Roo's friends. Upon discovering their new friendship, Roo and Lumpy's loved ones realize that Heffalumps are nothing to fear at all. 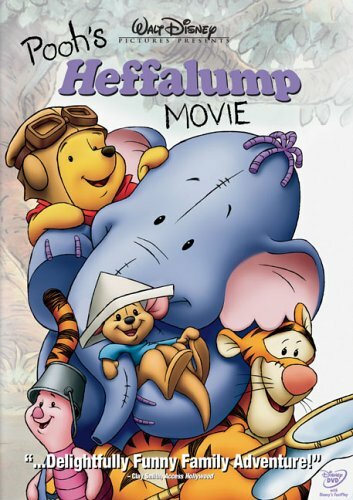 Filled with humor, heart, and Heffalumps, this warm and wonderful adventure is great fun for the entire family.